The contents of history textbooks taught in primary and secondary schools across the United States are subject to standards developed by each state. Even though these standards are periodically reevaluated and revised, in many instances they remain outdated and deficient. This problem is particularly acute when it comes to ancient history and the role and contributions of the Persian civilization. 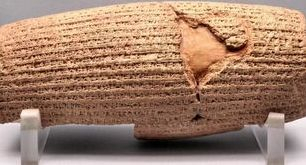 The perception of ancient Persian civilization has been traditionally shaped by one-sided accounts of Greek historians. In recent decades, however, extensive research and scholarship on the history of the Persian Empire, the largest empire in the ancient world, have dramatically changed that distorted perception. While the results of the latest scholarship on this subject are reflected in the history curricula at the university level, many state standards for K- 12 history-social science continue to suffer from the biases perpetuated by the Classical view. Textbooks developed based on these deficient standards reflect this shortcoming in two respects. First, by not including an adequate historical narrative of the civilization of ancient Persia, these textbooks omit an important building block that is crucial to the understanding of ancient history. Further, where Persian history is treated at all, it is done so in a skewed manner and merely as a footnote to the Hellenistic world. As such, these textbooks tend to adopt language and depictions that are demeaning and offensive, especially to students of Persian heritage. An initiative to address this problem is underway in California. This site is intended to raise awareness about this problem, to build further momentum, and to expand the scope of this initiative beyond California. This initiative is driven by the desire to bring about the kind of change in the history curriculum taught in schools across the country that better prepares all students to understand and engage in events of national and international significance. To achieve this end history must be taught in a manner that is free from bias and based on the most recent scholarship. In the state of California, world history is introduced to students in sixth grade starting with ancient civilizations. Concerned with an inadequate and outdated coverage of the ancient Persian civilization by the public school curricula, a group of California parents came together to address the problem. This initiative has grown out of this collective effort. The inadequacies of the history curricula are driven primarily by the deficiencies in the relevant state standards. At grade school level, for example, the current History -Social Science Content Standards and History - Social Science Framework (collectively "the Standards") as developed by the California State Board of Education (CSBE) require the teaching of a number of different ancient civilizations as independent units as part of the sixth grade curriculum. Persian civilization, however, is noticeably omitted as such and is instead only referenced tangentially as a subsection under Greece. As the first step, a letter addressed to the CSBE was drafted highlighting the problem with the Standards and requesting a meeting to further explain and discuss the concerns. Support from many world-renowned academics and scholars was solicited, virtually all of whom agreed to sign on to the letter. The letter was forwarded to the CSBE at the end of the summer of 2012. Shortly thereafter representatives of the CSBE agreed to a meeting, which started a positive dialogue. That dialogue has evolved into a collaborative effort involving several of the stakeholders including the CSBE, scholars of Persian history and textbook publishers. Currently, work is in progress on revising the Standards. Senate Bill 1057 has been introduced to the California senate with the goal of revising the Standards, and bringing the history curricula of the state schools in-line with current scholarship, while providing a balanced portrayal of non-European and typically misrepresented cultures. An on-line petition supporting this bill appears here. The passage of SB1057 is an important step in our goal of improving the curricula of the middle and high school students of California, with regard to a fair and accurate presentation of ancient history.